Netflix and YouTube are more “essential” than cable and satellite TV providers for consumers, according to a new TiVo survey. 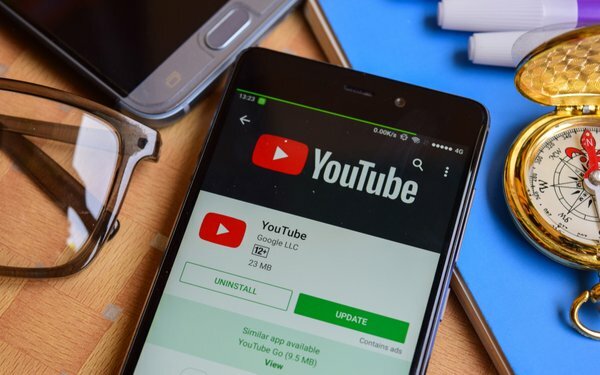 Respondents said Netflix and YouTube were 52.7% and 45.9% more “essential,” respectively, while cable and TV services were given 39.5% and 27.9% numbers. Under the 40% mark were Amazon Prime Video, rental shows/movies and Hulu. When it comes to “use” of services, Netflix has a 50.4% score, followed by Amazon Prime Video at 21.8%; YouTube TV with 11.9%; Hulu (on demand) at 9.5%; HBO Now with 7.5%; Hulu with Live TV at 6.9%; DirecTV Now with 6.3%; and CBS All Access at 5.2%. Still, TiVo reports an upside to traditional pay TV providers, cable and satellite. Nearly 25% say they are “very satisfied,” while 24% say they are “very satisfied” with cable/satellite’s video-on-demand services. A TiVo survey of 4,458 people 18 years and older in the U.S. and Canada took place in the fourth-quarter 2018, conducted by a third-party. 2 comments about "Netflix, YouTube Deemed 'Essential' For Consumers". Ed Papazian from Media Dynamics Inc, January 23, 2019 at 10:49 a.m. I assume that the Netflix and YouTube results were based on subscribers, in the case of Netflix and users in the case of YouTube, in which case the respondents had a clear idea of what types of content they got from these specifically named sources. Comparing that to a gereralized appraisal of "cable", which involves hundreds of channels and all sorts of program content creates a stacked deck as "cable" never had a chance to beat Netflix or YouTube in such a study. If one compared the evaluations of frequent or recent viewers of specific cable channels---like ESPN, CNN, Fox News, Comedy Central, TNT, etc. where the respondent knows exactly what you are referring to and is familiar, via usage, of same, you might get a completely different picture. John Grono from GAP Research, January 23, 2019 at 6:39 p.m. Sniff, sniff. What's that I smell in the air? It wouldn't be a whiff of sample bias would it? Give me the answer you want and I can come up with the sample and question to deliver it. One of the best lessons I ever had at uni.